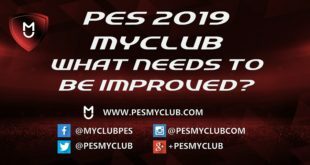 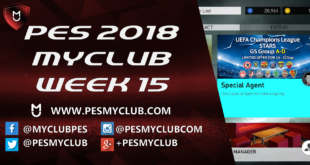 We’re now in the fourth week of PES 2018 myClub. 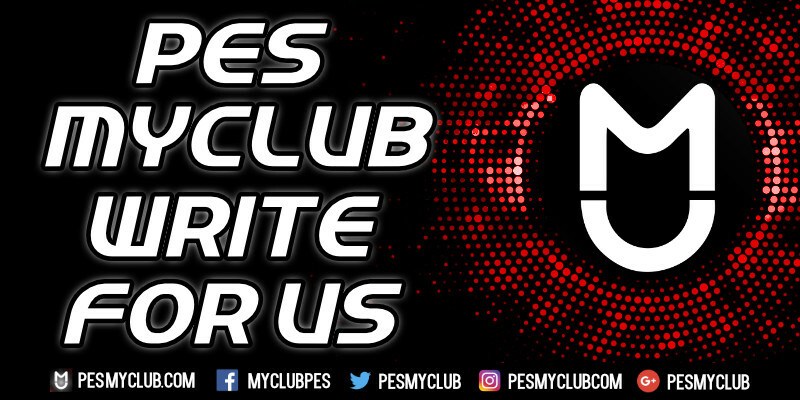 We will be going through each week’s Live Update, Special Agent, Online Challenge Cup, VS COM Challenge Cup and listing any PES legends that are available that week. 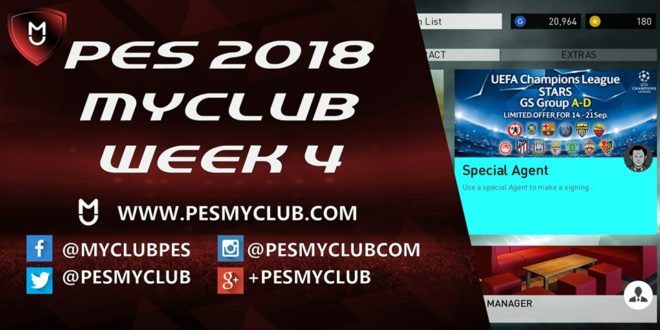 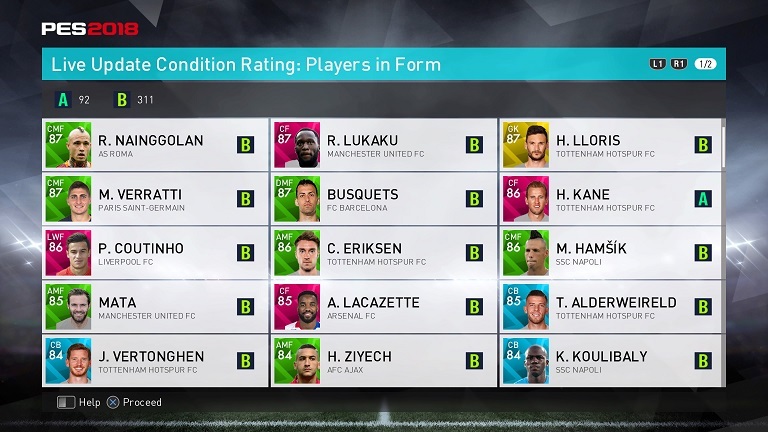 There are two Special Agents in the fourth week of PES 2018 myClub. Given we’re now in the international break the first is the National Team STARS. 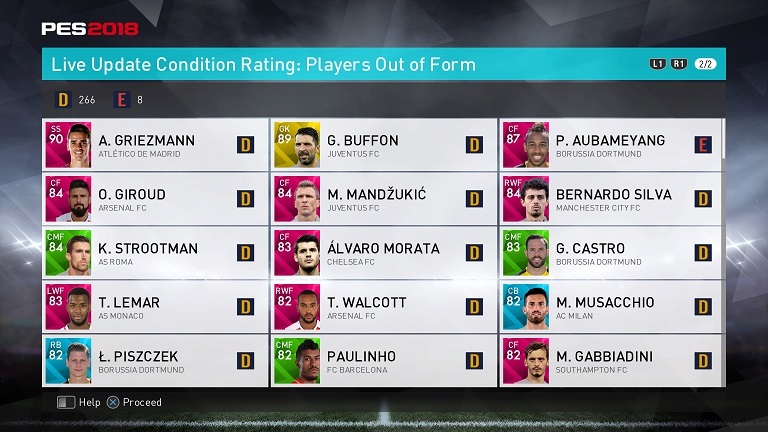 The second is the Japan National Team. This one offers players at Level 50 as opposed to the usual Special Agent level of 30. 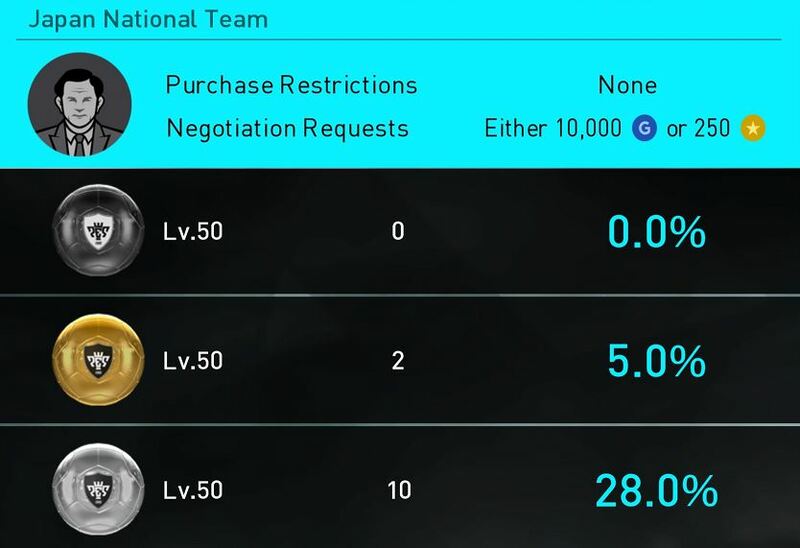 Rewards: Special Agent: National Team STARS Lv. 1 on your first victory. 500GP thereafter. Rewards: Special Agent: National Team STARS Lv.1 on your first victory. 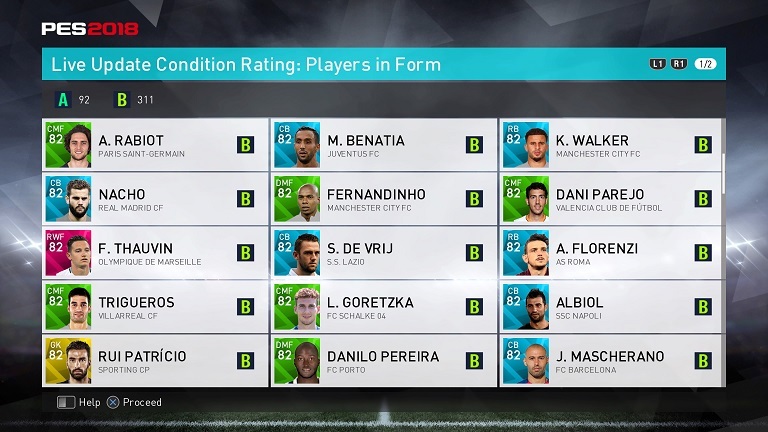 1000GP thereafter.